calendar of October programs. Calendars are updated at the first of the month. Visual arts workshop facilitator Donna Iona Drozda with CHAI program artist. 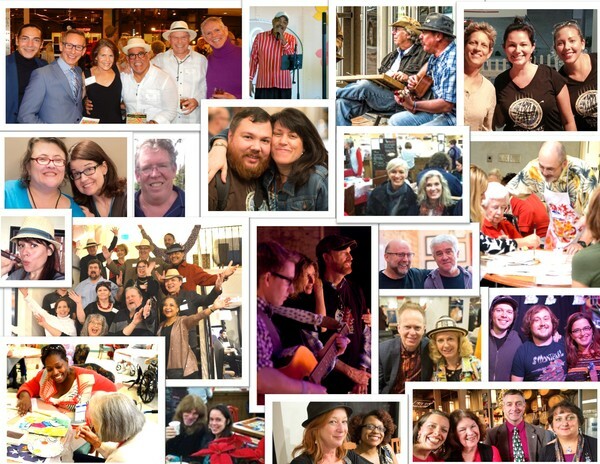 Hundreds and hundreds of artists have served the community through TAO since our outreach began in '04. We've listed out years of service and number of programs by our artists on our website. 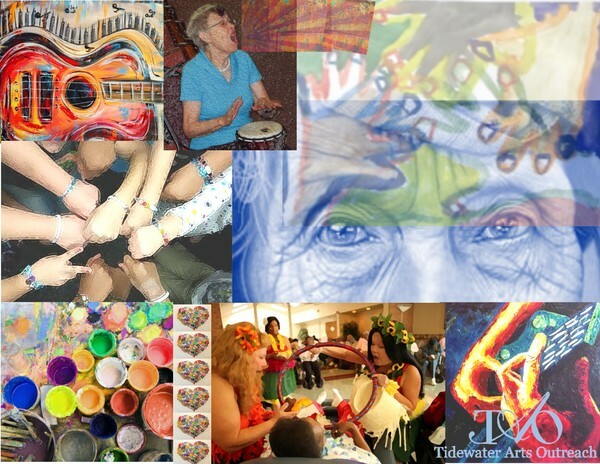 Artists are our rhythm and groove! 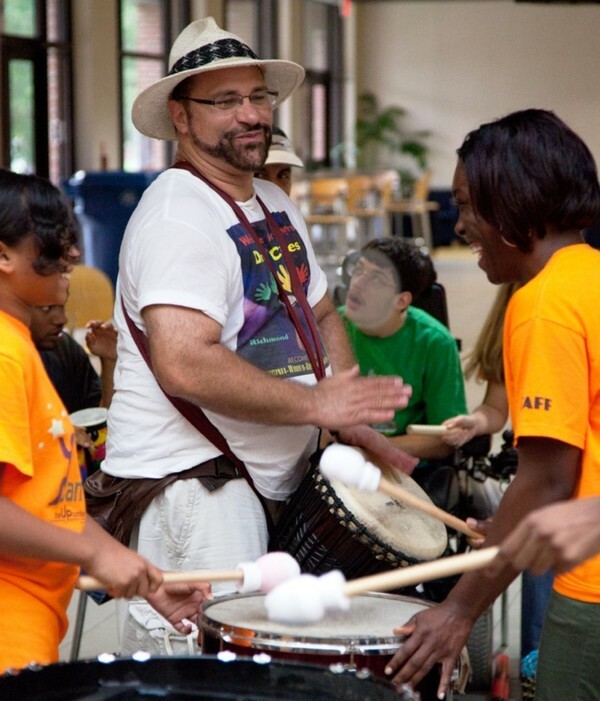 Caregivers join in with gusto at Arthur Lopez' drum circle. "This was an excellent program. He even got family members & staff involved. Residents opened up, laughed & really enjoyed themselves." We love you, volunteers. 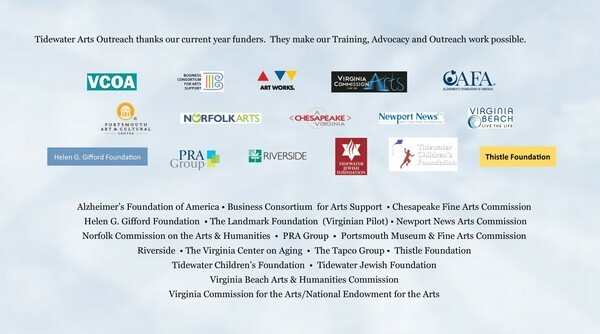 Thank you for breathing life and love into Tidewater Arts Outreach training, advocacy and outreach. 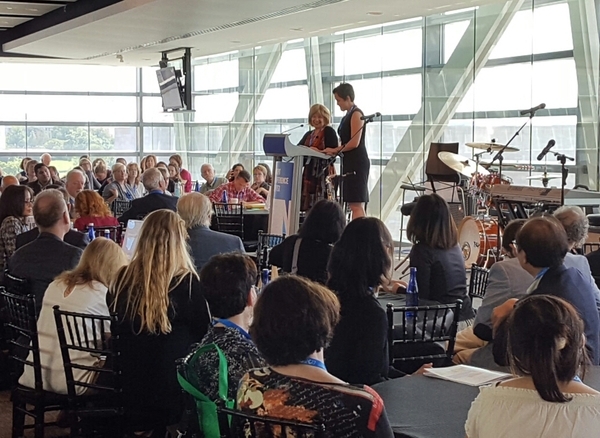 Creative Services Director Anna Fitzgerald blogs about #voluntarism and Tidewater Arts Outreach program hosting, as the perfect way to see our mission in action. We're golfing! Oct. 12. There are a few days left to sign up for a day of friendly competition, prizes, warm sunshine, cold beverages and lots of little white airborne balls. The greens are immaculate!! 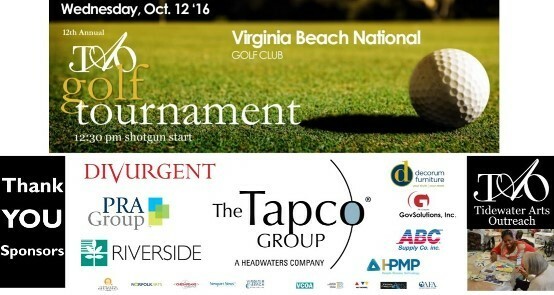 Click here to register your foursome. 8. Center for Creative Aging - NC is doing great work to build community and bring together elders through the arts in Greensboro, NC. 9. Senior Theatre Resource Center helps older adults fulfill their theatrical dreams. They compile volumes of short plays; they also sell cast copies to hundreds of works. 10. danceforconnection.com Trains dancers and caregivers to share dance with people who have dementia. 13. The evidence-based Vader method techniques engage elders with dementia in activities that uses reminiscence, poetry, props and music. 14. Northwestern University Research paper. Older adults benefit from music training early in life: biological evidence for long-term training-driven plasticity.